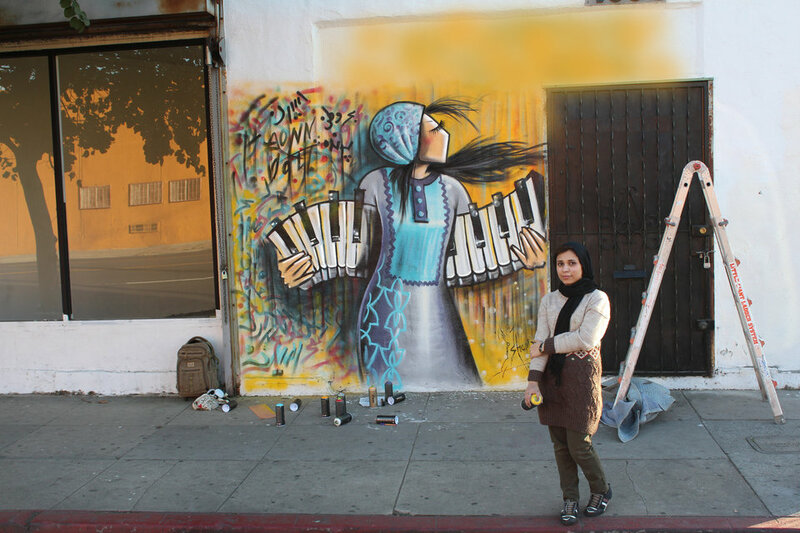 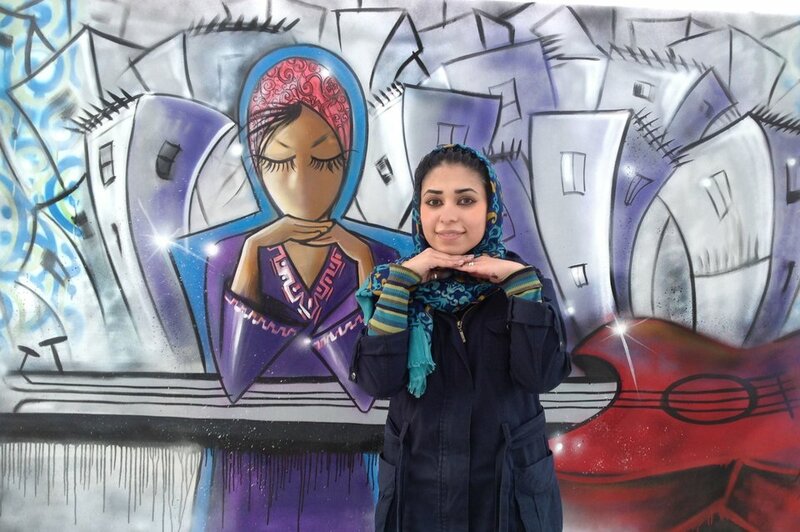 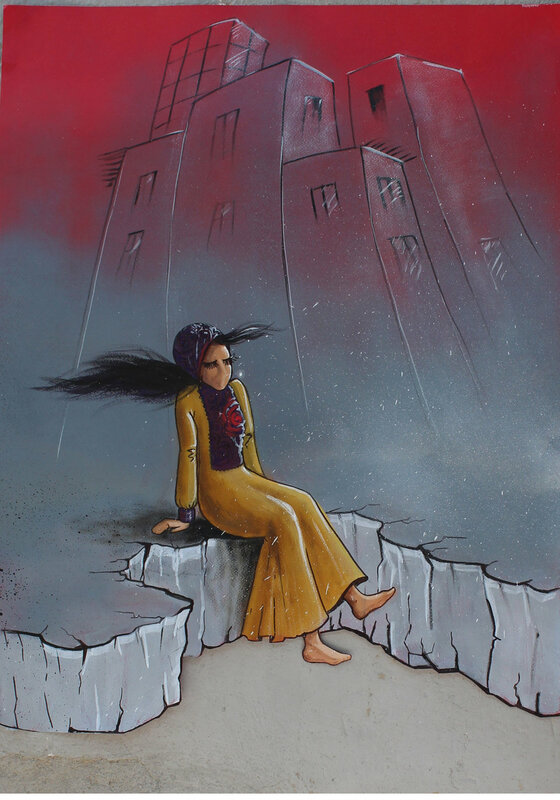 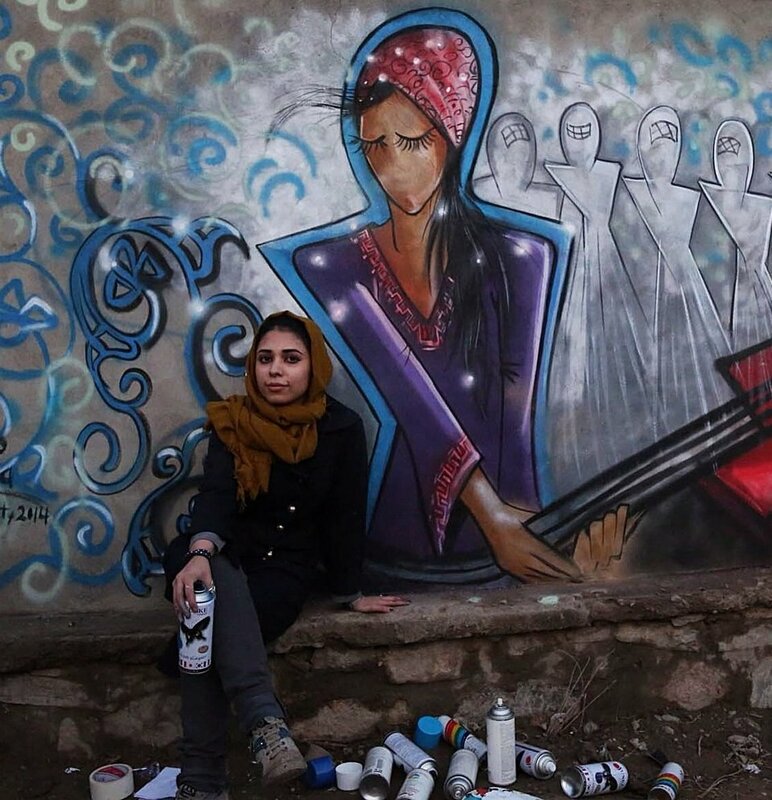 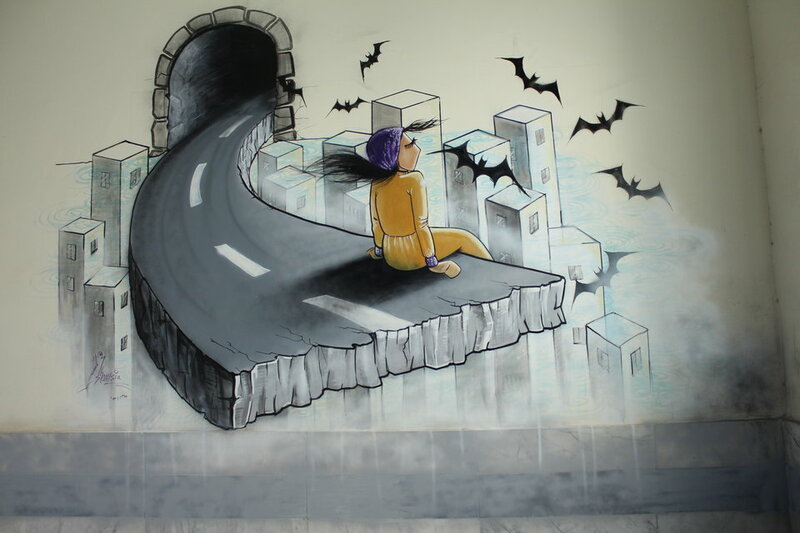 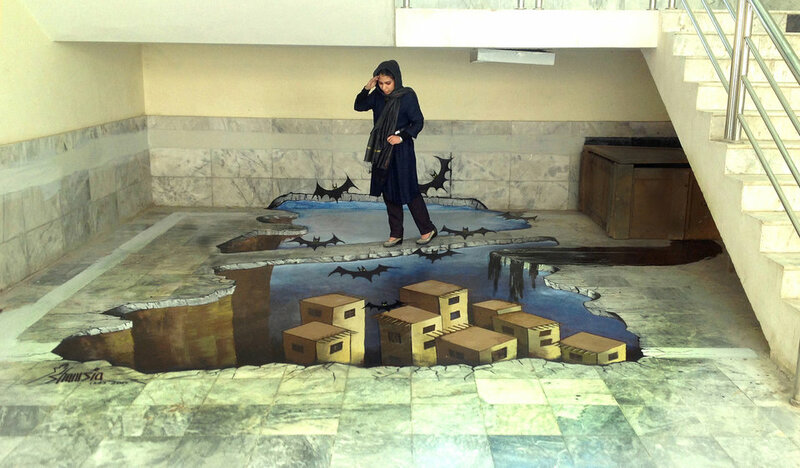 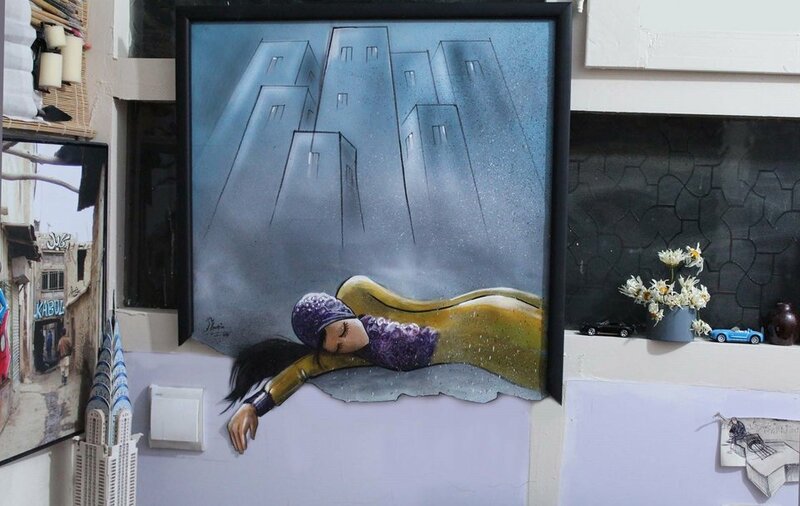 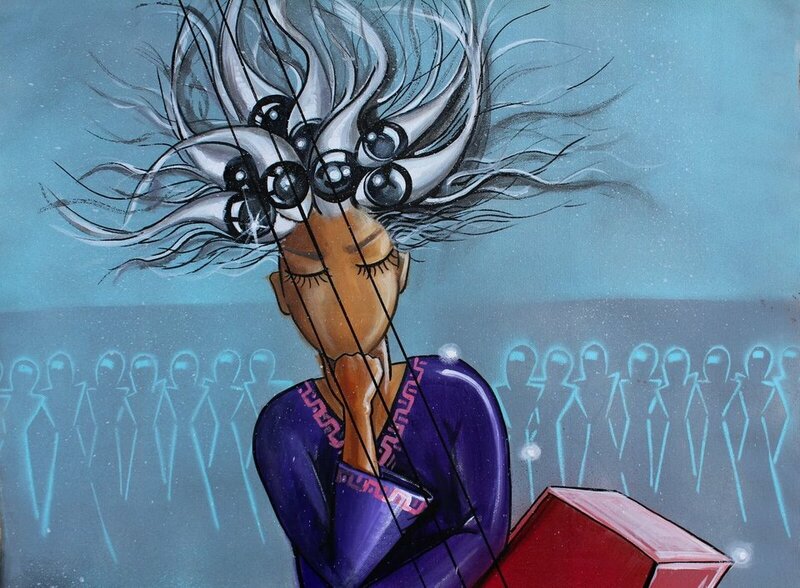 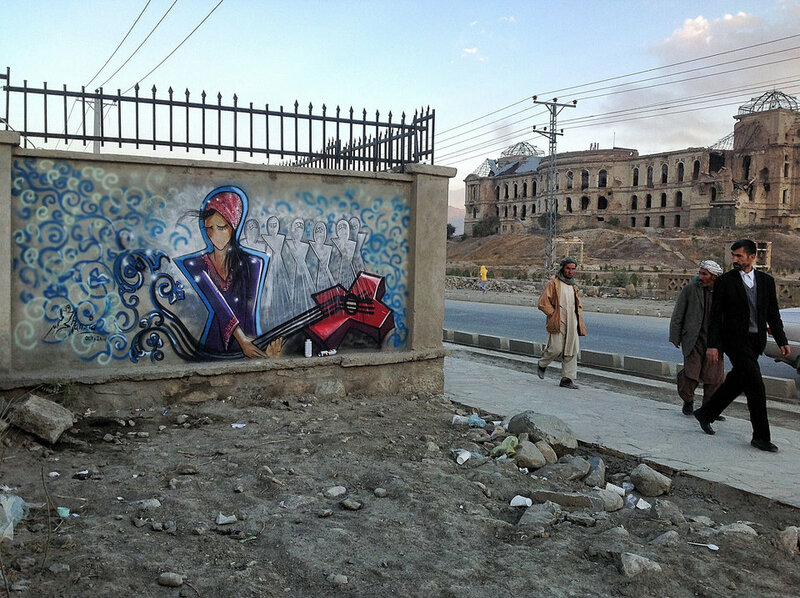 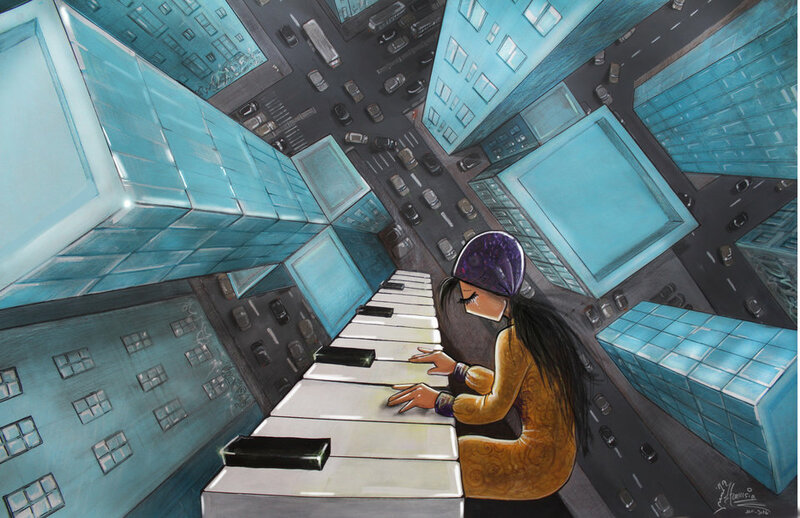 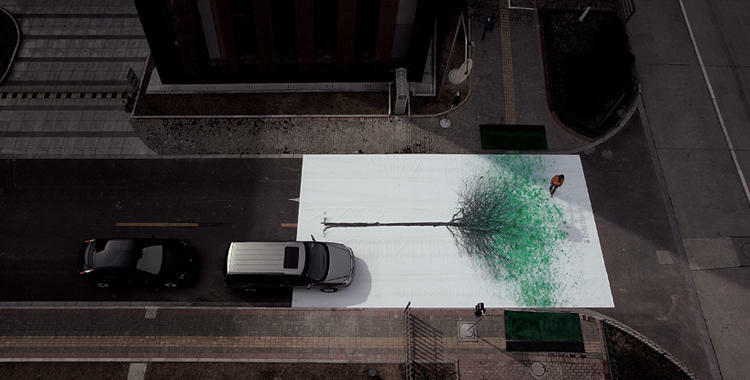 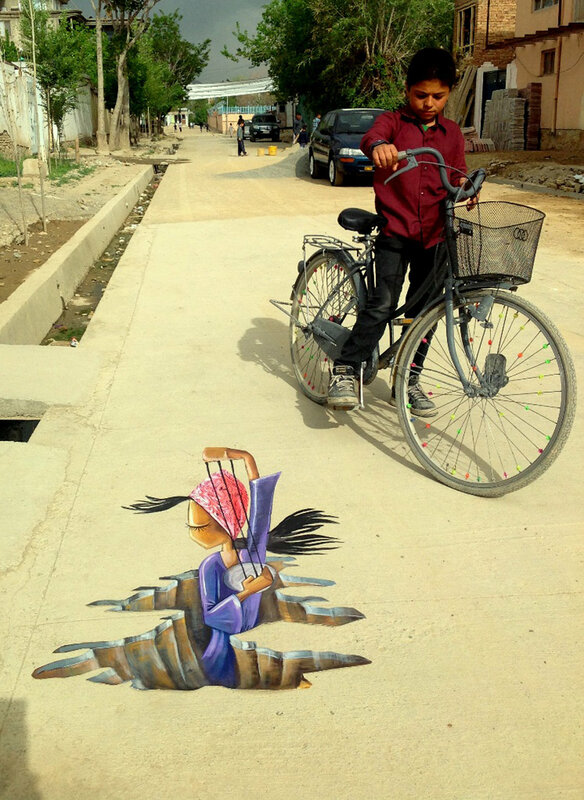 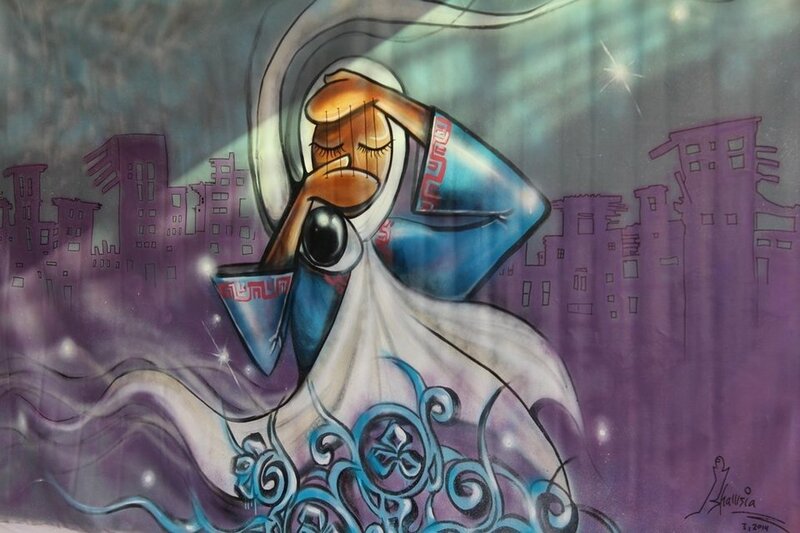 Street art made by Shamsia Hassani, widely known as the first prominent woman street artist in Afghanistan. 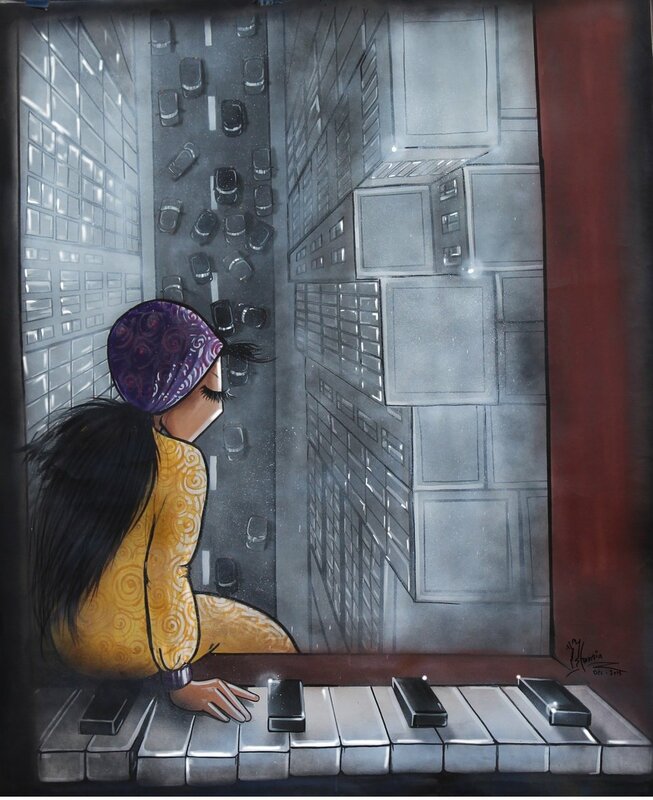 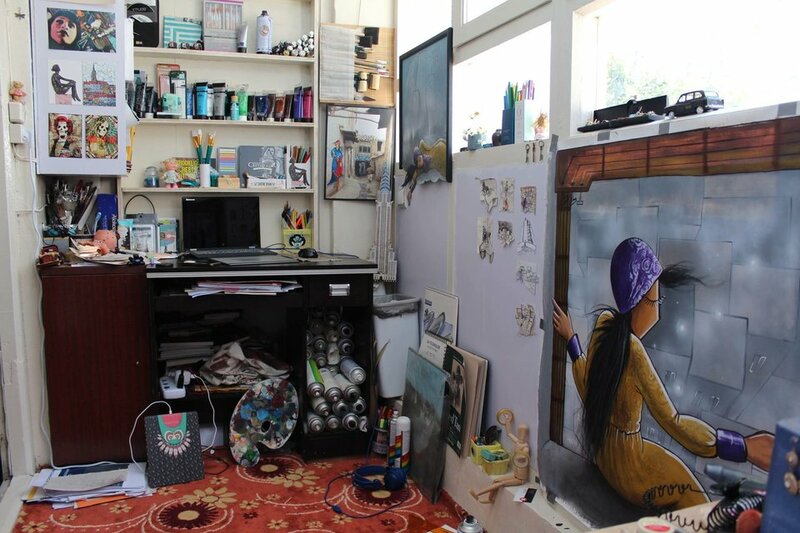 Hassani was born in 1988 in Tehran to Afghan parents, eventually moving to Kabul to pursue her bachelor’s and master’s degrees in visual art. 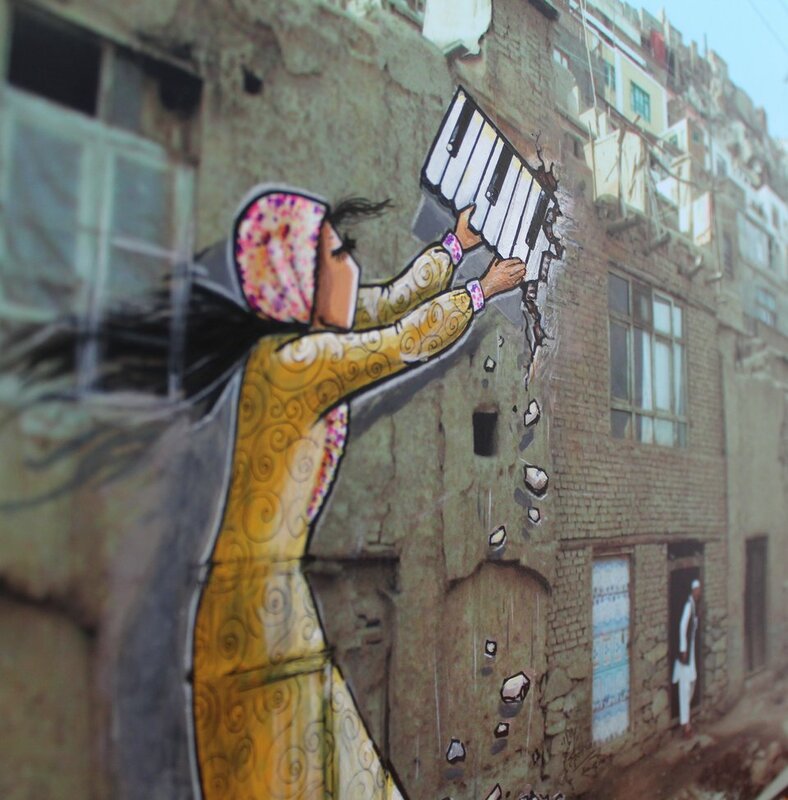 She currently resides in Kabul, where she turns the city’s walls into colorful canvases that spread a message of peace and hope to her community.